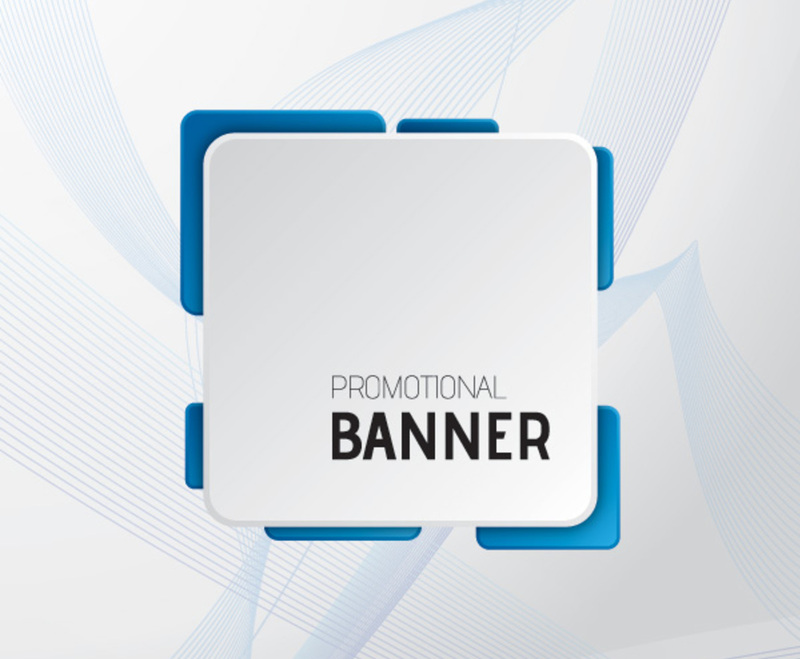 This cool promotional banner blends a high-tech abstract look with a casual style. A white square with rounded corners occupies the foreground and provides space for text; a subtle gradient darkens the square's top left corner while smaller blue squares peek out from the sides. All of the corners are rounded, which adds to the clean, open feel. The graphic has pleasant abstract textures, which are especially apparent in the fluid lines that move through the background. The color palette of blue, gray, and white lends contrast to the black text, emphasizing the importance of your brand name or message.